CPB REQUIRED WEBSITE CONTENT /Transparency Our Mission: Sharing, perpetuating, and preserving Athabascan culture, traditions, and values, through presentation, documentation, and education. Continuing to realize our mission and expand our reach meant refocusing our efforts, evaluating our progress, and defining our next steps. With the assistance of Dr. Michael Walsh, Vice President and Senior Consultant with The Foraker Group, our board actively engaged in the development of a new Five- year Strategic Plan and in Spring of 2014 we completed PHASE I: Identifying Core Values and Core Principals and updating or developing organizational materials to indicate the above and that have been reflected throughout this application. During the winter of 2014 our Board of Directors completed PHASE II: Envisioning Our Future (KRFF as envisioned over the next decade) and developed a vivid description of both the vision and the process for achieving that future as outlined in our business plan. The most recent Board of Directors approved completed draft is available upon request. ‍Our Goals: • Develop a year-round venue with the capacity to reach and provide responsive radio for our community (Achieved and On-going 2015) • Promote established musicians, story tellers, and tradition bearers and encourage similar emerging performers by capturing and presenting their work. • Provide cultural programming which incorporates historical methods as well as today’s innovations to reveal the richness of Alaska’s own root music and her unique history, and culture. Our first step was to create a technological and cultural crossroads. We have realized this in a fully-functioning public broadcasting radio station, one that exists within the context of utilizing the airwaves to broadcast music and information, and connecting people from all across Alaska’s vast Interior region to share, perpetuate and preserve the Alaska Native Peoples culture and traditions. ‍Exhibit VI-B: Attach a statement of programming philosophy that implements the Mission and Goals of the station. 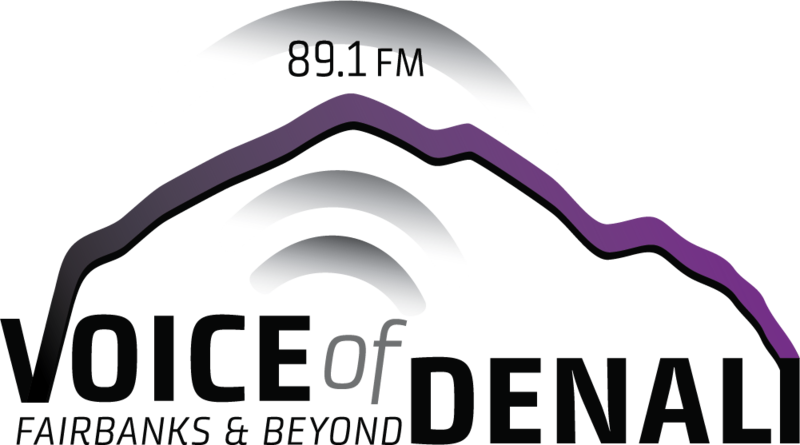 ‍Website Content Required for Transparency Updated October 2016 The Voice of Denali KRFF 89.1 FM: A Technological and Cultural Crossroads: As we considered the future of our organization, we also looked to our pasts. The traditions that shaped our communities, the actions that defined us as individuals, where did they meet? Where did they overlap? As music, stories, and news of significant events – and they reached most us the same way – through the radio. For generations, Alaska Native Peoples of the in Interior have relied on information broadcast over the airwaves as an essential part of their day-to-day life. In 1923, The Alaska Fisherman Foundation became the territory’s first Native owned and operated newspaper. The Tundra Times followed in 1962 as a bi-weekly newspaper out of Fairbanks and, in1971, KYUK AM became the first community radio station to program in both English and Yupik languages. Wired and wireless communication arrived in Alaska primarily to serve military needs, however, when Congress made available money for community radio, Alaska Native communities adopted this method of communicating readily, not only because of geographical challenges rarely presented elsewhere, but also because Alaska Native languages and dialects differed from community to community requiring local programming to be in the local dialect. These successes, however, were not replicated when public television arrived in Alaska, which required most programming be in English, and even the technical preferences of television editing techniques made it virtually impossible for Native peoples to tell their stories their way. Alternatively, Native radio demonstrated the influence of local programming to nurture and sustain Alaska Native languages and culture – an easy fit for expanding their rich oral traditions and while not initially seen to preserve culture and traditions, more as a conversation. Radio quickly became more than an instrument that increased self- sufficiency it enriched lives by sharing music and stories across our region. The Athabascan Fiddlers Festival afforded us 4-days each fall to fulfill our mission: celebrating our music, culture and traditions. Today, as the Voice of Denali we do this every day, 365 days a year. Radio then, radio now it reminds us of the ways we are connected to others across the state and across the nation. When we honor our vets. When we celebrate our youth’s achievements. When we vote. When we sing! Today, KRFF airwaves carry our past experiences: our stories, songs, traditional perspectives, and our languages as well as news of our community’s current achievements and challenges. ‍Website Content Required for Transparency Updated October 2016 KRFF has established and will maintain an essential, continuous communication channel into and throughout rural Alaska as well as providing culturally relevant radio. The Voice of Denali Radio 89.1 KRFF serves a broad listening demographic within the Fairbanks North Star Borough with 6 different program streams including (3)news/talk streams. We can be heard on FM, streaming of the web at http://www.krff891.com, and we have been sharing programming with other Interior radio stations since June of 2014. Currently, KRFF employs 2 full time positions locally. We expect to create more job opportunities as we continue to expand our call-in shows and production of Alaskan-centric programing. Our news and talk format includes covering cultural events: the Festival of Native Arts, the World Eskimo – Indian Olympics as well as iconic sports events, like the Yukon 800 and the Open North American Sled Dog Championship. News from Native Voice One, covers state, national and global issues. Locally, we link with other small radio stations throughout the Interior to create a network of shared local programming. A network that supports Alaska Native peoples, their villages, as well as other Interior residents to connect, as family, as neighbors, to Fairbanks, the Doyon Region - the State and the world. Our listeners tune in for culturally meaningful programming and engaging news: approximately 30-50 callers a day contact us. Today, we are co-creators of KRFF 89.1 FM’s programming which is being shaped and refined by our listeners and their input. As of 2016 we are linked with 40 of the 42 villages in Alaska’s Interior and actively working to reach the remaining two villages in 2017. As the Voice of Denali, we have created a venue where emerging performers, local community groups, and tradition bearers know their voices will be heard – heard when they speak to our history and heard as they give voice to our future. ‍C. Community Advisory Board The Community Advisory Board (CAB) is made of no fewer than 3 (and no greater than 5) volunteer members. The CAB membership is distinct from the organization’s governing Board of Directors. KRFF is committed to ensuring that Members of the CAB represent a diverse cross-section of the community. In our efforts to nurture new community leadership and mitigate meeting fatigue, we look to rotate the member of the CAB bi- annually. CAB meetings are scheduled to occur within 60 days of Quarterly Board Meetings to ensure opportunity to update BOD prior to the next scheduled BOD meeting. If you are interested in participating in our Community Advisory Board please contact us at: ann@krff891.com for more details. ‍D. Political Activities and Donor Lists KRFF complies with all current laws and regulations of the Internal Revenue Service, and with all other applicable Federal law or regulations governing political activity and lobbying. We do not sell, rent, lease, loan, trade, give, donate, transfer or exchange its membership or donor names with any outside organization for any purpose. KRFF does maintain active control of its contributor and donor lists, and takes all appropriate measures to ensure against unauthorized use of such lists. The bylaws of the organization do not allow any use of its membership and contributor/donor lists by any outside parties. The parent organization, Athabascan Fiddlers’ Association, as well as KRFF periodically reminds contributors/members/donors that its lists are never used outside of the organization. ‍E. Balance and Objectivity Diversity plays a significant role at KRFF, but those elements that receive the most attention are culture, geographic location, and generation. Additionally, KRFF avoids taking a position on partisan political perspectives, religious indoctrination and anti-social 5 Website Content Required for Transparency Updated October 2016 organizations. KRFF governing boards and staff reflect the diversity of the service area to a large degree. ‍F. Elements of Diversity (gender, race, culture, faith, language, generation) It is the intention of KRFF 89.1 (FM) to ensure that employment opportunities are open to all citizens, that our workforce representation is on par with the civilian labor force and that KRFF build key elements of inclusion into our policies. Provided within this report is a preliminary breakdown of our status and an action plan to ensure diversity eligibility in accordance with CPB Compliance Requirements. There is no Hispanic or Latino representation in the KRFF workforce at this time. ‍Diversity Training Plan: KRFF will work with the Foraker Group to develop a strategy for appropriate Board and Volunteer Diversity Recruitment in the year upcoming and build on this foundation for creating a diversity training plan for recruiting employees in the year following. The annual diversity training plan is designed to improve interpersonal skills, build cultural competence and inform the workforce of policies, rights and avenues of redress available to them. The training has been mandatory for Board of Directors and managers and required of all new board members within the 1st 12 months of service.